Humans will always be required within an operation because they will need to process the one-off transactions that the robot has not been equipped to handle, and the robot will need to be programmed for any process changes. A lot of people are unsure about how they could, or would work with robots. As we mentioned in part 7 of our ABC of RPA series, educating and informing your employees will help them to understand and adjust to the change. But while employees may be accepting of robots, can they work together in harmony? 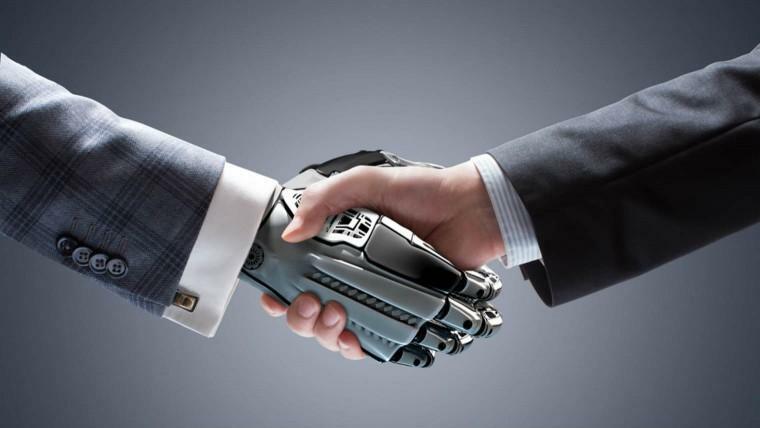 We take a closer look at the working relationship between humans and robots. Where does the human/robot task interface begin and end? The working partnership between humans and robots begins with a human pre-programming a robot to complete its designated task. In the insurance industry, for example, customers expect total transparency, and a near-seamless experience from quotation, to billing, to fulfilment. However, many established insurance providers are working with a multitude of legacy systems, making a seamless experience impossible and stretching operations teams to maximum capacity. Robotics process automation can be applied to many simple, but pivotal tasks in the insurance industry, alleviating pressure on fulltime employees and helping to speed up processing times and accuracy. Because robots are system agnostic, they have the ability to bring disparate pieces of data together in harmony. Introducing robotic process automation to legacy billing systems, for instance, will help overworked operations teams to keep up with ever-increasing customer demand, without footing the expense of moving to new billing systems. This is a familiar scenario to many global, or even local companies that witness growth as a result of acquisition. Automation solutions can quickly be put into place to automate data linkage amongst both new and legacy systems. Robotic process automation can help ensure the smooth transfer of data between systems, allowing employees to focus on extracting value from data, rather than securing the move of data itself. Similarly, the financial services industry has always been at the forefront of digital technology, applying it to improve customer service and gain an edge on their competitors. Yet today, many financial services firms are battling with legacy systems and ongoing legislative changes, which create volumes of data. Despite these challenges, the financial services back office is expected to continue increasing efficiencies to grow and transform the business. Robotic process automation is particularly well suited to the environment of many financial services firms because the processes can work alongside the existing IT infrastructure, without any extensive integration. Deploying automation to back office processes in financial services firms can have a significant impact on customer service, liberating high value employees from more menial tasks and putting them back on the front line, assisting customers. Should you be constantly assessing the movement of work from human to robot? Just as processes that are completed by humans run through a quality control check, processes that are transferred between humans and robots also require assessment. In fact, this is the most critical component of the robot’s development – testing. Robots only do what they are programmed to do and will continue to do so indefinitely. If the cases in the testing phase are not thorough enough, the robot will continue to display the “incorrect behavior” it was programmed to display. Once the robot is thoroughly tested and put into the production environment, these concerns go away. In fact, several months after the robot has been in production, auditors seem to have more confidence in its behavior than those of its human counterparts. Will the fact that robots can work 24X7 impact how work is done globally? Access to ‘always on’ capability will undoubtedly change the way we work and have a huge impact on productivity. Pre-programming robots to complete time consuming, repetitive tasks will enable human employees to focus on more rewarding, value-add tasks, creating more time for face to face communications with customers, patients or key stakeholders. While it can be difficult to measure this type of interaction in terms of productivity, it isn’t difficult to measure the productivity of the robots working in the background. Robots can work as many hours as your systems are available, granting employees a greater level of flexibility within their organization without compromising on employee satisfaction. This is a perfect time to insert the example of a global company that has people scattered around the world supporting specific time zones. In these cases, there may be excess capacity in the European time zones which goes to waste because their queue is empty. With a robotic workforce, the approach is flexible: As the European queue becomes empty, the robot could easily reach back into the Asian queue or even the Americas queue to complete the tasks before their workday even starts. As a result, the company has an international robotic team which is willing to give up its salary in exchange for working around the clock. What employer wouldn’t be interested in that kind of worker? Let us go even further to dare imagine that the robotic workforce has the ability to turn the business processing outsourcing (BPO) industry, on its head. Where today, the value they bring is low cost location labor team’s robots can compete from a cost perspective at any location. The industry needs to either find a way to reinvent itself, or risk extinction. Should the robot be held to a higher standard? A robot can never be programmed for 100% of use cases, but the results for those it is programmed to do will be 100% accurate, every time. A human doing the same task, for instance inputting accounting entries, will take longer, and has the potential to make errors. Further, human input requires a review process, and it’s likely that that the human checking for errors will let a few slip through the net. The caveat is that humans will always be required within an operation because they will need to process the one-off transactions that the robot has not been equipped to handle, and the robot will need to be programmed for any process changes. The human / robot workforce needs to be positioned as a collaboration, not a competition. Look out for part nine in our ABC of RPA series, where we will be discussing how we can measure the performance of a robot versus a human. 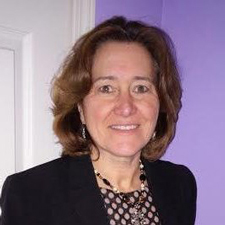 Rita Brunk is the Robotics and Automation Transformation Lead for the US at Genfour, the robotic process automation (RPA) and AI delivery specialist. Rita has seven years of automation experience within a shared services environment, which developed to incorporate robotics tools. Prior to joining Genfour, Rita led a global shared services effort at Hewlett Packard for robotics. She opened and closed various captive shared services sites outside of the US, and several sites under her responsibility won SSON Excellence Awards for value creation in a mature shared series centre. For the past 15 years, Rita has held a number of executive positions in a captive shared services environment focused on process optimisation and the development of analytics within the finance, HR, logistics, procurement and marketing functions. During this time, Rita oversaw large teams located in Michigan, India, Costa Rica, Argentina and Mexico. For the last two years, she led global efforts to reduce headcounts across all locations, implementing RPA to drive this progress.